Handmade gemstone bracelets in all kinds of purple and pink. The sterling silver (925) details are the finishing touch in our jewelry. More about gemstones. 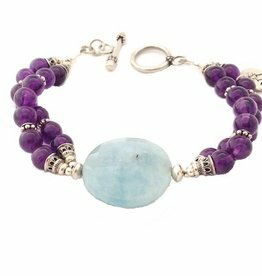 Prehnite, sugilite and turquoise bracelet with sterling silver (925) clasp. Handmade bracelet of high end milky blue aquamarine and deep purple amethyst. 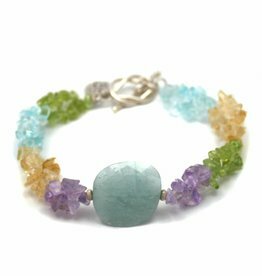 Handmade bracelet made of beautiful aquamarine and amethyst.